Back to Homeschool Giveaway and Sale! 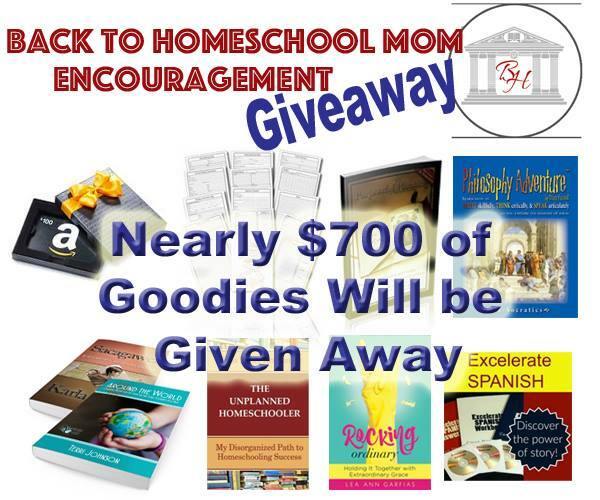 Enter the giveaway here for your chance to win nearly $700 worth of homeschool goodies PLUS you get freebies to download instantly when you enter! What is in the giveaway? Melissa from Blessed Simplicity Blog is giving away a $10 Starbucks Gift Card. Excelerate SPANISH is giving away Excelerate SPANISH- The Whole Program! Giveaway ends Wednesday, August 3rd at midnight, so tap here to enter now! And don’t miss the Brookdale House Sliding into Homeschool Sale! It starts today, August 2nd, with 40% off but don’t wait because that discount will be sliding down lower and lower as the week goes on! Get your 40% off on Brookdale House curriculum now! Use code bdhsliding at checkout! Next Post All-CANADIAN Learning Sale!